An honour roll commemorates parishioners who were killed in World War One. It lists 9 names. 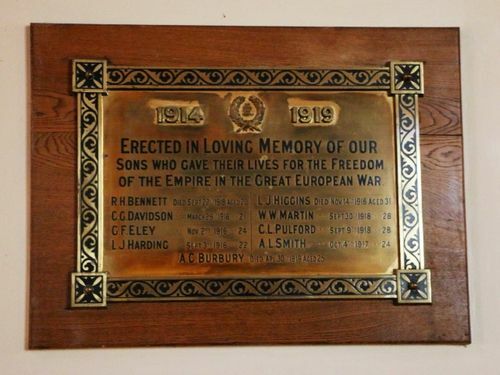 Erected in loving memory of our sons who gave their lives for the freedom of the Empire in the Great European War.